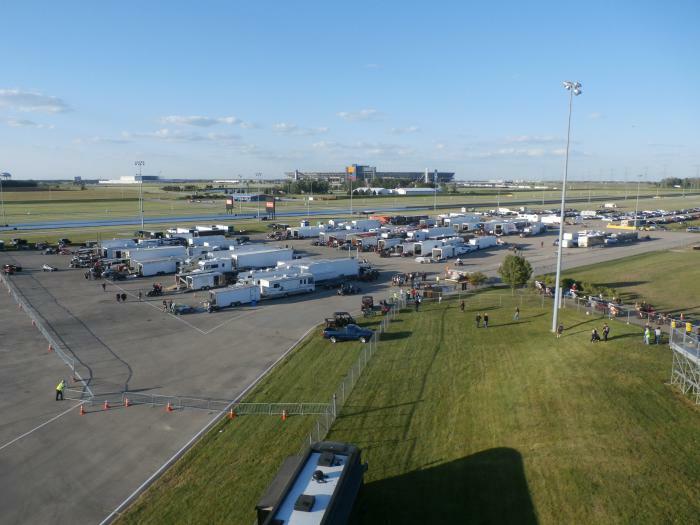 Location - The dirt track is part of the Chicagoland motor racing complex which also includes a pavement track used by the NASCAR series and a drag strip. Despite being named Chicagoland the track is south west of Chicago at Joliet. Without traffic the journey should take just under an hour. In traffic I wish you the best of luck. 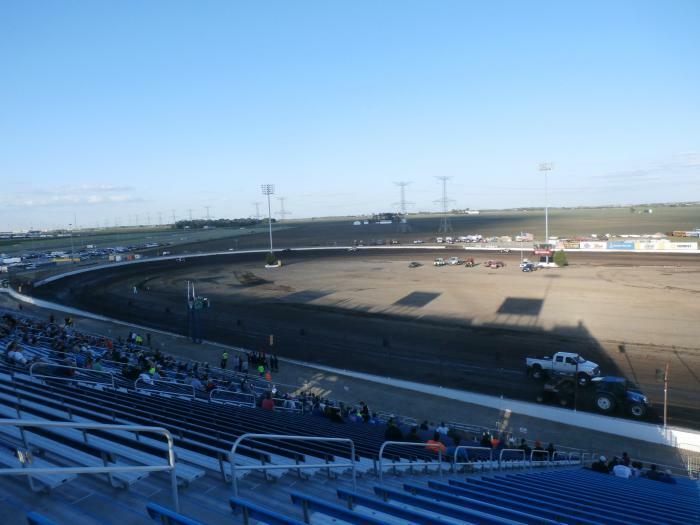 Parking - This is one of the more impressive dirt track venues you will ever visit. Parking was extremely plentiful and was behind the front straight which incidentally is where the main grandstand is. For a big show you might have a bit of a walk from your parking spot but I'd be confident this place ain't going to run out of parking any time soon. 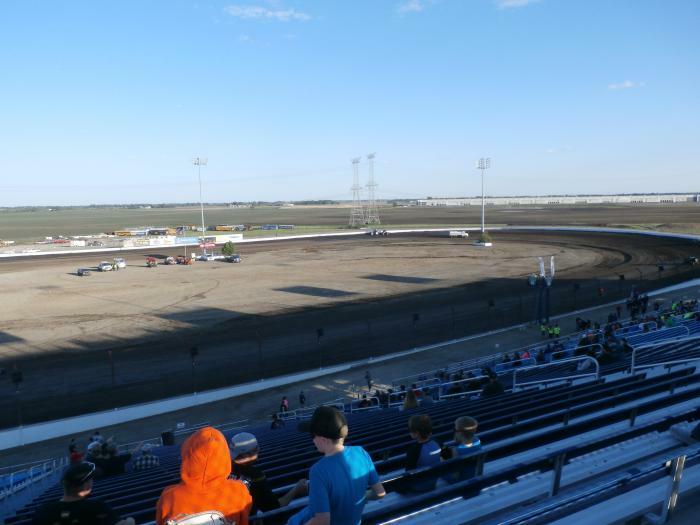 Premiere Meeting - In 2017 the World of Outlaws Sprintcar Series pays a mid-week visit in June with an appearance the following night from the World of Outlaws Late Model series. That would be well worth a couple of days in Joliet. Also worth attending - Strangely for such an amazing venue much of the schedule consists of demolition derby and destruction style events. 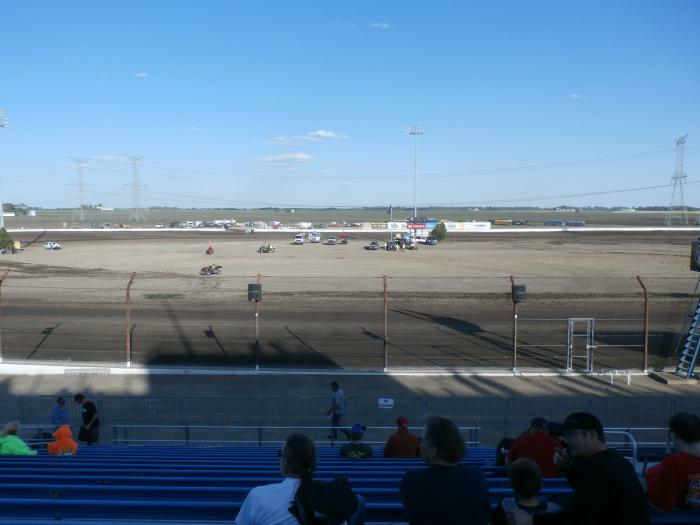 An appearance by the POWRI Midgets might be worth a look if they can assemble a decent field. In saying that an American style demolition meeting could well be worth a watch. Perhaps "Superhero night" might be worth taking the kids to. 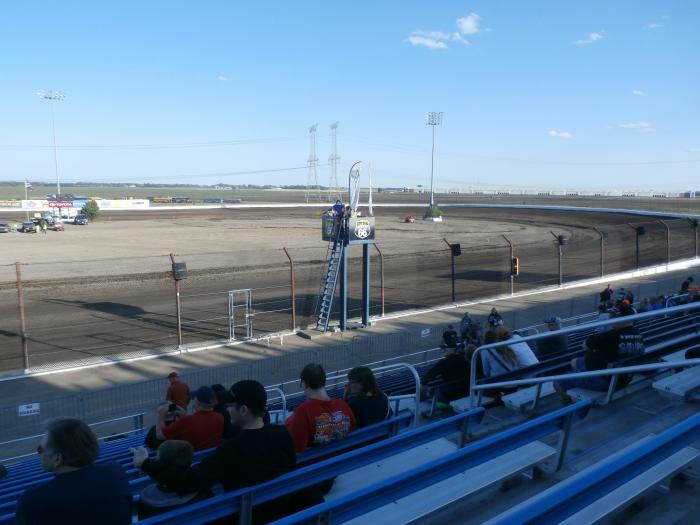 Best spot to sit - The main grandstand is very large by dirt track standards and spans much of the front straight length. 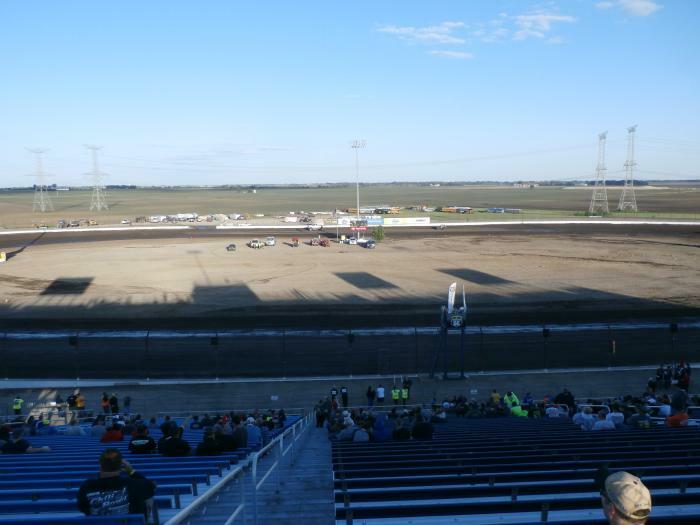 Consider this track is a 3/8ths mile and that's one heck of a grandstand. Being a big track sitting at the top of the grandstand means you're a long way from the action, not to mention the climb to the top. The best spot seemed to be around 1/3rd the way up the stand behind the start/finish line. 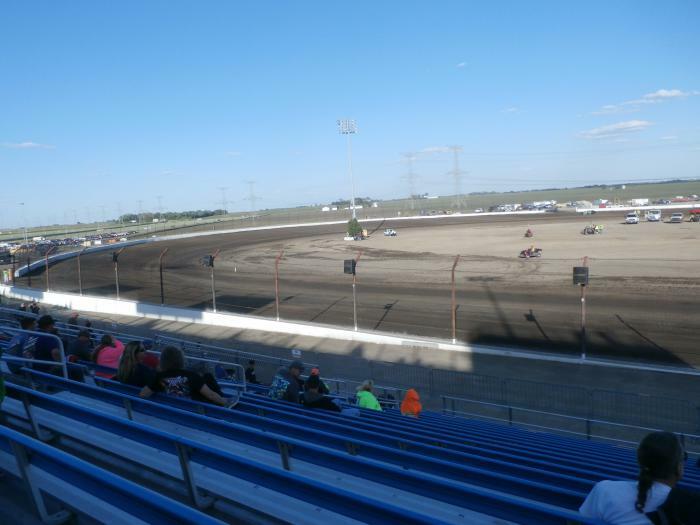 Classes run - Winged Sprintcars, Late Models, US Modifieds, US Street Stocks, Midgets. Uniqueness - This 3/8ths mile track is a big place. Turns are sweeping without much banking when compared with many US tracks. When Percy visited the track raced narrow compared to it's actual width and didn't produce the level of action seen at many of the quarter miles around the Illinois state.